Dislocation of the shoulder may occur when a person falls on an outstretched hand or during abduction and external rotation of the shoulder. Significant force is required to dislocate a shoulder, unless the athlete is experiencing re-injury. A shoulder dislocation occurs when the upper portion of the arm bone (humerus) pulls free of the socket of the shoulder-blade or scapula. While several types of shoulder dislocation exist, the most common is anterior dislocatio, which represents ninety-five percent of all cases. In this dislocation injury, the structures responsible for stabilising the anterior shoulder, including the anterior capsule and the inferior glenohumarl ligament, are torn free from the bone. A compression fracture of the posteromedial humeral head is known as Hill-Sachs lesion. More commonly, avulsion of the anterior glenoid labrum can occur, which is known as Bankart lesion. Most commonly, avulsion of the anterior glenoid labrum can occur, which is known as a Bankart lesion. 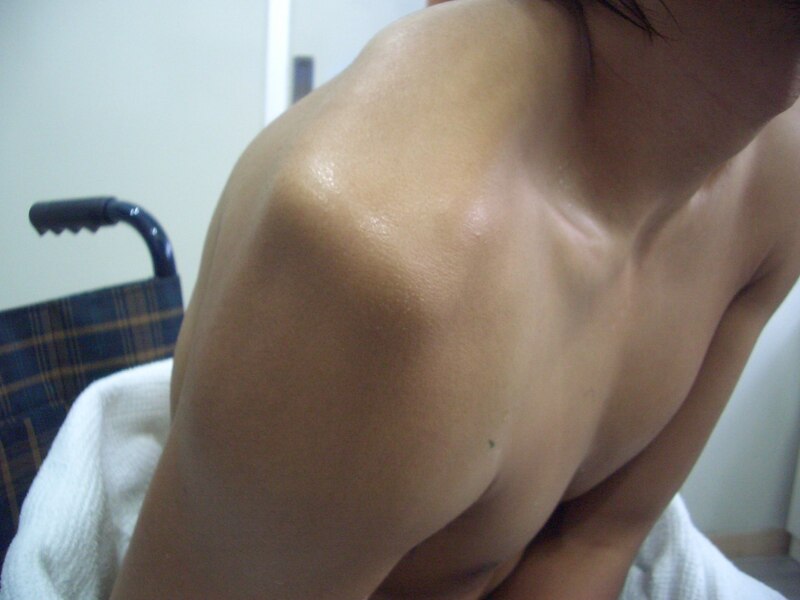 Both often occur as a result of anterior dislocation of the shoulder. Violent contact with another athlete or solid object. A fall on an outstretched hand. Sudden, violent torsion of the shoulder. Severe pain in the shoulder. Arm held away from the body at the side, with the forearm turned outward. Irregular contour of the deltoid muscles. Dislocation of the shoulder causes tearing of the shoulder ligaments, resulting in the shoulder joint becoming less stable. This results in the shoulder capsule being considerably more prone to successive dislocations during athletics. Immobilisation of the shoulder during the healing phase does not fully prevent such re-injury, which may require surgical intervention, since the immobilised ligament often fails to heal in the proper position. Realignment or reduction of the dislocated joint. Most initial shoulder dislocations are treated without resort to surgery, although subsequent dislocations may require surgical care, and many athletes suffer a range of disabilities following dislocation. An alternative to surgical treatment – prolotherapy – involves injections directed at the anterior shoulder capsule and the insertions of the middle and inferior glenohumeral ligaments. This may offer better relief from pain, restoration of mobility, and a speedier return to athletic activity. Further, the technique avoids the formation of scar tissue common after surgery. A large percentage of athletes may be unable to continue sports following a shoulder dislocation without subsequent injuries or the need for surgical treatment. Furthermore, athletes who undergo surgery following shoulder dislocation are often unable to perform at their former level. The alternative method of prolotherapy may offer relief and more effective healing. Call (+65) 6471 2674 (24 Hour) to make an appointment to treat your shoulder dislocation today.